TodayLabs is a new company that is offering the fastest turnaround available on STD tests to help individuals get the help they need to rid themselves of these diseases. Arnold, MO,, United States of America - - February 13, 2014 /MarketersMedia/ — Last year, the Centers for Disease Control released information revealing that as many as twenty million sexual transmitted infections are diagnosed every year, and in some cases over half of these are in people aged 15-24. These alarming figures have a real social and economic impact on the country as a whole, and the CDC has recommended prompt diagnosis and rapid treatment as the most important factors in reducing this figure. TodayLabs is a new company that gives customers access to confidential clinics throughout the US and specializes in rapid testing and treatment of sexually transmitted infections. The clinics can be found by visiting the website, where individuals can put in their city, state or zip-code to find the nearest TodayLabs clinic. They are then asked which tests they require and can get tested in the same day, with results back to them in less than 48 hours. The clinics can test for the most common STDs like gonorrhea and chlamydia as well as more serious STDs like hepatitis and HIV. No matter what concerns or symptoms individuals have, they will be able to get fast and reliable, verified diagnoses from TodayLabs clinics faster than anywhere else. 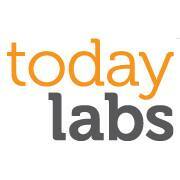 TodayLabs is a new company that helps people get tested quicker for STDs. Established in late 2013, the company offers discrete STD testing at labs across the country. The customer has their choice of lab and all users receive their results back as fast as possible so they can take immediate action should the tests be positive.